HELP US SHOWCASE EMMANUEL CHORAL TALENT IN SUNNY BARCELONA! Emmanuel College Chapel Choir Go to barcelona! 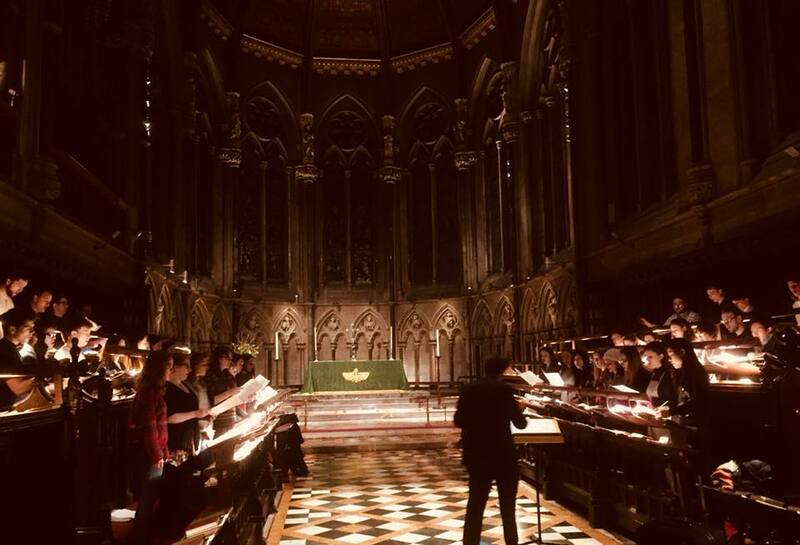 The Chapel Choir of Emmanuel College, Cambridge are having a wonderful year of music-making! So far this year, we have sung the Mozart Requiem to a packed-out St Martin-in-the-Fields, performed carols at Temple Church, London and down in Sussex, sung Evensong at Ely Cathedral and in a joint service with St John's Voices, and a performed a programme of music for Passiontide and Easter at St Martin's Stamford. All of this is of course outside of our regular weekly schedule of Eucharist, Evensong and the occasional Compline in the college chapel! 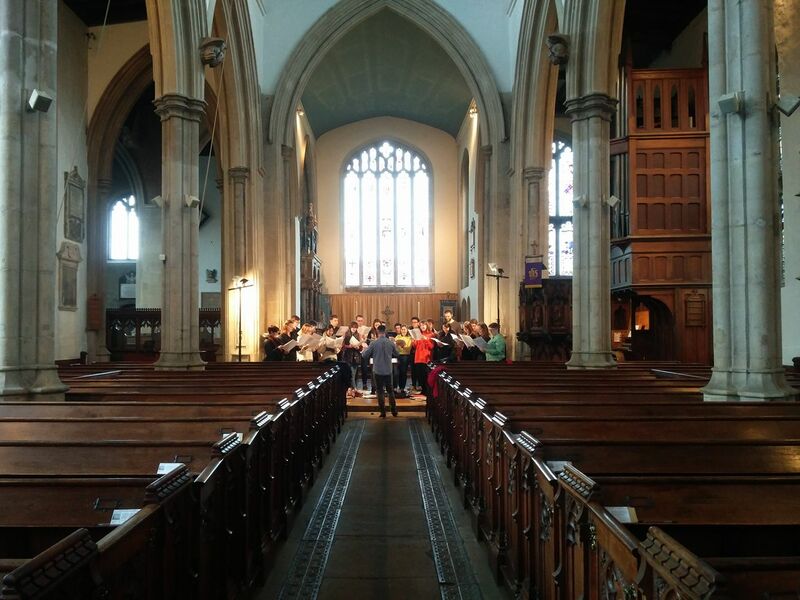 Now, we are very excited to take our music-making to a wider audience with as we head to Barcelona on tour from 30th June-8th July to sing in some of the most historic and beautiful churches across the city. A busy schedule of masses and concerts is being planned, with one of the highlights being an opportunity to sing at the breathtaking Sagrada Familia on the 6th July. With your help, last year's tour to Krakow was a huge success and we hope you might be able to help us on our way to Barcelona this year. 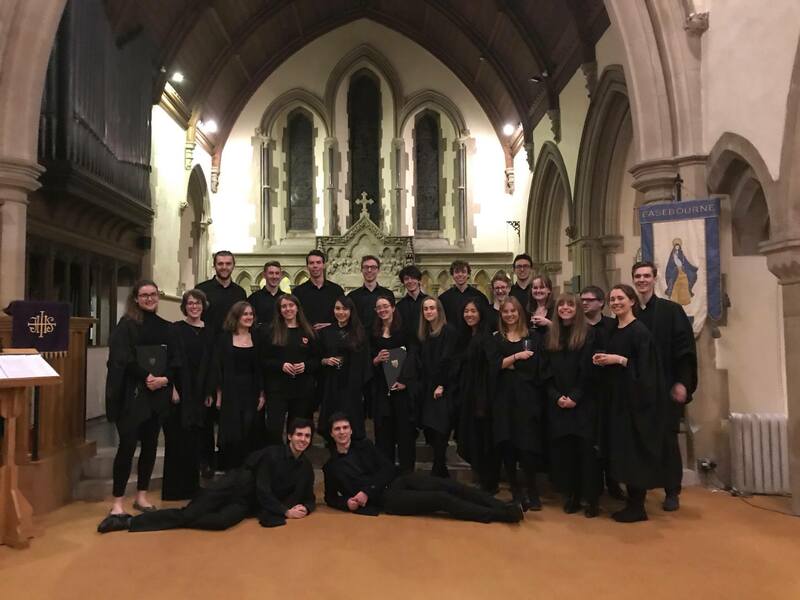 Fundraising for this tour has been well underway since the end of Michaelmas term, with our annual performance at the Mill Road Winter Fair and a sell-out concert at our Senior Organ Scholar, Hugh's home church of St Mary’s Easebourne in West Sussex. We were very warmly received and performed a concert of Advent and Christmas choral music for an audience of over 200. Our members are busy in the kitchen preparing for the choir’s annual bake sale in Front Court, and plans are afoot for a pub quiz and a Hymnathon next term. Whilst we’ll be contributing our own funds to this project too, we’re also committed to ensuring that all singers, regardless of their financial circumstances, can join us. We’re now asking for your help to meet the rest of our fundraising goals: around £200 will cover the remaining costs of travel and accommodation for one of our lovely singers for the entire week - but any amount helps, no matter how large or small! Any donation of £10 or above is eligible for various tokens of our gratitude and thanks, from a copy of our latest CD of the works of E.W. Naylor, to a personalised musical birthday message, and much more! But money isn’t everything: please consider sharing this crowdfunding page with your friends and family online, following us on Facebook or Twitter, or coming along to one of our Eucharist or Evensong services in the college chapel! A friendly choir in Cambridge’s friendliest college (we think! ), the Chapel Choir of Emmanuel College, Cambridge, sings in weekly services of Eucharist and Evensong in the college’s historic chapel, completed in 1677 by Sir Christopher Wren. Led by the Director of Chapel Music, Mr Richard Latham, and the two Organ Scholars, Hugh Crook and Marcus Norrey, the Choir consists of approximately 20 mixed voices and is known for both its high standard of musicianship and warm social atmosphere.Recent performances have included the Mozart's Requiem and Haydn’s Creation at St Martin-in-the-Fields as well as Bach’s St John Passion and Buxtehude’s Jesu Membra Nostri. Tours in recent years have take the choir to Krakow (2017), Munich (2016), Copenhagen and Malmo (2015) and the United States (2014), where they performed at Trinity Church, Wall Street (NYC), Yale University and the Memorial Church at Harvard University. Access to a digital copy of this year's tour report with accompanying photos showing what we got up to. All of the above, plus acknowledgment in our programme as a friend of the choir and a postcard from one of our singers. All of the above, plus acknowledgment in our programme as a supporter of the choir and a card signed by the whole choir. All of the above, plus our latest recording, a CD of the choral music of E.W. Naylor: Vox Dicentis. All of the above, plus acknowledgment in our programme as a benefactor of the choir and a personalised 'Happy Birthday' musical message from the choir - the perfect gift for a loved one! All of the above, plus a live audio recording of one of our performances from the tour.